In Pursuit of a Prestigious Profession? Almost everyone in life is entitled to a great choice of future when leaving school. Limitless potential, endless career opportunities, a broad range of possible destinations, areas and industries to enter into… and many other aspects to consider. How do young people choose the right path to pursue their career? Probably the most common criteria that influence a decision on the career are prestige as well as professional and financial prospects. Aren’t they? The more respected a profession is the wider door into the future it opens. Thus, what are the most respected and attractive professions in Europe? What studies do European youngsters prefer? Various ratings of universities and study programs across Europe suggest that depending on the amount of applications to the institutions providing higher education the topping industries of choice are: IT, medicine and law. Let’s take a brief look through each of the fields to find out the answer to the question: why are they so desirable? Information Technology. Living in the era of various technological advancements springing up at the speed of light, it is not that difficult to explain the popularity this sphere is gaining. Mostly 3-year IT studies costing up to €12,000/year (depending on the university and the complexity of the study program) provide graduates with a number of directions to pursue their career. From a technical writer, a web developer to an information technology director, a chief technology officer and even more. Additionally, the growing demand for technology experts presents a range of prospects for professional growth and offer a hefty financial reward. Recent researches on the European labour market has revealed that IT professionals fall under the top highest-paying jobs. Medicine. Since the beginning of times doctors have been seen as a symbol of dignity, responsibility and service towards the community. People seek doctors for answers, and it is up to medics to provide them. Although medical studies in Europe last from five to six years (two years of pre-clinical training in an academic environment and 3 years of clinical training at a teaching hospital), students are driven by the future prospects. After getting through a fierce competition while applying to the university and afterwards paying for the studies up to around €20,000/year, medical students feel no concerns about getting employed. In most cases, they get a job immediately after they graduate. It is worth noting that this field also allows to fulfil personal ambitions. One of the surveys has revealed that when asked what motivated people to go into medicine, three-quarters of the respondents cited helping people as the main reason, followed by intellectual pursuit. Law. Law, almost like medicine, is one of the world’s oldest fields of study, professions, human endeavour – you get the picture. In addition to the enormous prestige, the variety of skills provided by a three-year law degree puts these type of graduates at the forefront of employers’ minds. While a fierce competition to enter the university, where the tuition fees can exceed €12,000/year, and general amount of the representatives across the field, obtaining a law degree may not guarantee immediate success or an exceedingly large salary, professional qualification allows those with a law degree to enjoy more job security. Therefore, for those with the right aptitudes and motivation, the rewards of legal career in the future can be great, both in terms of salary levels and personal development. As you can see, practical reasons driven by enormous prestige attract people to take up careers in these fields. But are these the only respected professions to be considered? Where is a pilot profession? Have you ever noticed how people react to pilots crossing the waiting hall of an airport? Crowds just cannot take their eyes off pilots confidently stepping towards the gates to take their seats in the cockpit of an aircraft. An aura of prestige in the crisp suit, striped cuffs and brimmed airline hat is absolutely charming. Isn’t it? Research conducted by the travel agent sunshine.co.uk on travellers’ attitude towards the occupations in the travelling and holidays industry suggests that the prestige of this profession is also extremely high. 84% out of 2,100+ respondents see pilot profession as the most respected one. What does a pilot career path include? Six-figure salaries, limitless horizons above the head, a phenomenal way of the world acquisition are only a few of the most widely known aspects making this job extremely desirable. Therefore, there exist plenty of extra peculiarities the occupation is wrapped up in. For students with no flying experience desiring to take up a position of a First Officer at an airline, only up to 2 years are needed to cover all the stages of training. With theoretical peculiarities and a great amount of practical preparation, pilots are prepared to take their seat at 10,000 meters height and travel the world exploring it from the front of the plane. On the whole, whether it is law, medicine or aviation, all the fields require the same skills: extreme devotion, responsibility, sharp mind, quick reaction, etc. In order to be successful and earn the desired salary, one should dedicate all the time as well as put a tremendous effort to build the enviable reputation and prove to be the person who performs the professional duties in such a way that it is worth being paid for. At this point a pilot’s profession opens up all the possibilities. “For the first time in years, we are seeing economies growing in every region of the world. (…) We are seeing strong traffic trends not only in the emerging markets of China and India, but also the mature markets of Europe and North America,” said Randy Tinseth, vice president of Commercial Marketing for The Boeing Company. All commercial aircraft require at least one licenced captain and a second pilot, who is either a captain or first officer, in the cockpit. Therefore, focusing mainly on pilots, Airline Pilot Demand 10-year Outlook released by CAE forecast a demand for over 255,000 new pilots for growth and replacement all over the world. The most intriguing part of the outlook discloses that 50% of the required amount of pilots flying by 2027 have not started to train yet! To be more precise, to satisfy this demand over the decade aviation training institutions have to prepare 70 new type-rated pilots per day. European airlines typically hire new pilots directly through cadet programs, without requiring a stint in the ‘regionals’ as in the United States. Europe’s rapidly growing low-cost carriers support pilot creation programs and have developed partnerships with airline-focused pilot training organizations. It is worth highlighting that currently low-cost carriers employ a growing share of the 70,000 airline pilots active in the Europe region. Recently, BAA Training, one of the largest aviation training centres in Northern Europe, has carried out a survey to learn about the level of young people’s (from 15 to 29 years old) engagement with aviation in Europe. The involvement, in turn, was measured by the youngsters’ activity on social media. The results are surprising. If we take Europe as a whole, the results of the analysis reveal that over 21.5 million young people (or 3%) are interested in aviation. 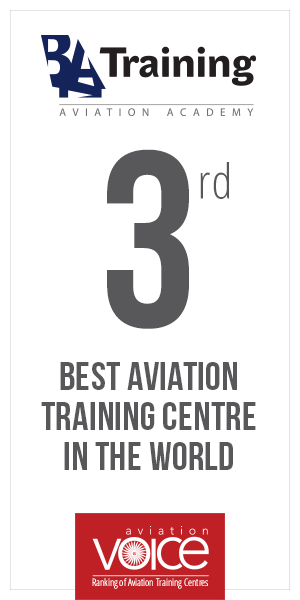 The most active engagement with aviation appears to be among those aged 20-24. Obviously, this group has the most potential to enter aviation and pursue their careers in the industry. It is worth noting that young pilots who take up studies at a younger age have a better chance to climb the career ladder. To be more precise, it provides youngsters with an opportunity to build the mandatory amount of hours as First Officers and move to the position of a Captain at a comparatively young age. The results of the above-mentioned survey can make you feel surprised in terms of the country with the highest engagement rates, too. The greatest involvement is seen guess where? In Turkey! Nearly 4.5 million Turkish people aged 15-29 get entertained by the Facebook content focusing on aviation. In addition, Turkey is followed by the United Kingdom (2.9 million), Italy (1.7 million), Germany (1.4 million) and Russia (1.3 million). A booming aviation market, a demand for air travel increasing at an annual average rate of more than 5 per cent per year, dozens of new airlines, all these are fertilising the growth of the industry as never before. Just grab your lucky ticket and get prepared to conquer career heights. 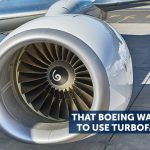 Did You Know that Boeing Was the First to Use Turbofan Engines? 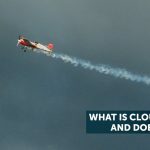 Did You Know what is Cloud Seeding and Does it Work?